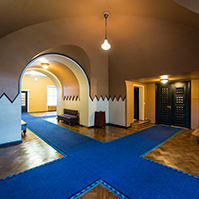 Prime Minister Andrus Ansip gave an overview of the implementation of the Government’s European Union policies to the Riigikogu today. The Prime Minister touched upon the opportunities and obligations arising from the entry into force of the Lisbon Treaty and noted that the Treaty gives us a single foreign service and the possibility of citizens initiating legislation. Ansip believes that, with the Union functioning on the basis of this Treaty, we can increase the competitiveness and openness of the European economy and create new jobs. “These are the tools with which we can efficiently overcome the crisis which has upset the global economy,” said the Prime Minster. 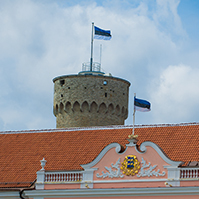 The Prime Minister stated that Estonia would like the Commission to assume a more powerful role in the promotion of energy security, including supply security. “We are facing the challenge of not only steering the European Union out of the economic standstill but generating a new boost to development. Estonia would like to see the Commission’s strong leadership in reshaping the internal market, including in the implementation of the so-called fifth freedom, the free movement of knowledge,” said Ansip. The Chairman of the European Union Affairs Committee Marko Mihkelson presented a report and dwelled on the entry into force of the Lisbon Treaty and a report prepared on the basis of the hearings of the European Union Affairs Committee which discusses the representation of Estonia in the European Union. On behalf of factions, Enn Eesmaa, Ester Tuiksoo, Raivo Järvi, Aleksei Lotman, Sven Mikser and Marko Mihkelson took the floor. 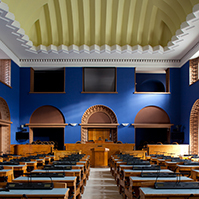 The Riigikogu passed with 47 votes in favour (1 abstention) the Bill on Amendments to the Foreign Service Act (619 SE), initiated by the Government, which aims to save the operating expenses of the Ministry of Foreign Affairs. The amendments are related to the volume of the personnel expenses allocated to the Ministry of Foreign Affairs in the state budget of 2010. The Act enters into force on 1 January 2010. On the motion of the Legal Affairs Committee, the first reading of the Bill on Amendments to and Implementation of the Maintenance of Law and Order Act (570 SE), initiated by the Government, was concluded. The purpose of the Bill is to harmonise and amend the special Acts regulating state supervision. The Bill amends the principles of the processing of personal data by bodies responsible for maintenance of law and order and provides unambiguously that bodies responsible for maintenance of law and order are required to ensure confidentiality of the business and technology information obtained in the course of performance of state supervision. The Bill provides the bases for application of state supervision measures for the purposes of prevention of a danger, i.e. without the existence of a danger. Since, according to the Maintenance of Law and Order Act, state supervision measures are mostly applied in the event of danger, a separate regulation is necessary for application of the measures for prevention of a danger. The Bill was sent to the second reading. On the motion of the Constitutional Committee, the second reading of the Salaries of Higher State Servants Bill (369 SE), initiated by the six factions of the Riigikogu, was concluded. The purpose of the Bill is to organise the salary system of higher state servants, to unhook their salary from the average wages and to make the salary system of higher state servants simple and more transparent. The Bill establishes the highest salary rate of 5200 euro which serves as the basis in determining the salaries of the state servants included in the list. The Committee determined the salary rate such that the salaries of higher state servants would remain at the current level. According to the Bill, the factor for the salary of the President of the Republic, the President of the Riigikogu, the Prime Minister and the Chief Justice of the Supreme Court is 1.0 and that of members of the Riigikogu is 0.65. 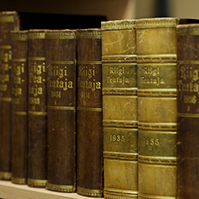 The Act is going to enter into force on the day of the commencement of the authority of the XII Riigikogu composition. The Draft was sent to the third reading. On the motion of the Rural Affairs Committee, the first reading of the Bill on Amendments to the Animal Protection Act, the Infectious Animal Disease Control Act and the Penal Code (596 SE), initiated by the Estonian Green Party Faction, was concluded. The purpose of the Bill is to ensure more efficient exchange of information concerning lost and found animals with a view to prevention of stray animals, and to prevent sufferings caused to animals at circuses as well as installations for the rearing of fur-bearing animals, and to reduce prohibited acts with respect to animals. The Bill was sent to the second reading. 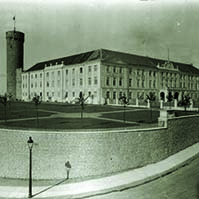 The Draft Resolution of the Riigikogu “Making a Proposal to the Government of the Republic” (620 OE), submitted by the Social Democratic Party Faction, was not passed in the Riigikogu. 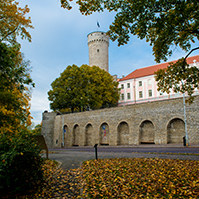 A majority vote of the members of the Riigikogu, that is, 51 votes were needed for the Resolution to be passed, but 41 members of the Riigikogu voted in favour of the Resolution and 33 voted against.